Solis played tight end for West Texas A&M University, where he was a member of Lambda Chi Alpha Fraternity. The team was quarterbacked by future professional wrestler Tully Blanchard, who would introduce him into the world of professional wrestling. After graduation, Solis was cut by the Kansas City Chiefs during training camp. He played one season for the BC Lions of the Canadian Football League, appearing in 13 regular-season games. He pro debuted in Championship Wrestling From Florida in 1977, also worked in Georgia Championship Wrestling in 1977-78, until he joined the World Wrestling Federation in 1979. After a near 3-year run in the American Wrestling Association form 1980-1982 he returned to World Wrestling Federation in 1983. Santana had his first taste of WWF success in 1979 when he teamed with Ivan Putski to defeat Johnny Valiant and Jerry Valiant for the WWF Tag Team Championship at Madison Square Garden in October 1979. The duo held the titles for close to six months before losing to the Wild Samoans in April 1980. In 1983, he engaged in a lengthy feud with Intercontinental Champion Magnificent Don Muraco. 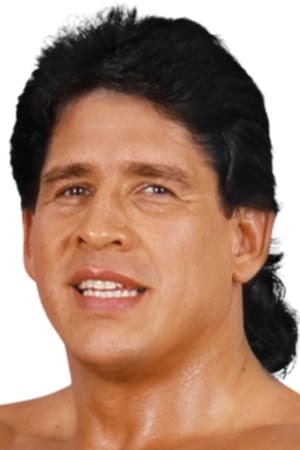 Santana finally won the title on February 11, 1984, becoming the first Mexican American wrestler to win the WWF Intercontinental Championship. He quickly entered into a feud over the Intercontinental Championship with Greg "The Hammer" Valentine. Valentine captured it from Santana in September 1984 in London, Ontario. Soon after, Valentine injured Santana's knee and put Santana out of action for several months. Santana returned at WrestleMania, and in the opening match defeated a masked wrestler known as The Executioner. Santana and Valentine went on to wrestle a memorable series of singles and tag team matches with neither gaining the upper hand. They wrestled in a variety of different types of matches such as regular title matches, No Disqualification matches, and Lumberjack matches.